What do you do when an IP you love is released as an RPG with a system you hate? Wayne discusses his conversion of the Deathwatch RPG to the Cortex Prime system., the latest version of Cortex Plus that powered Marvel Heroics Roleplaying. We also talk about the mechanics of Cortex Prime and how he was inspired to use it to power Space Marines. With hanami (cherry blossom viewing) still fresh in their minds, Wayne and Lyal discuss festivals and the questions you need to ask yourself when including them in your game. 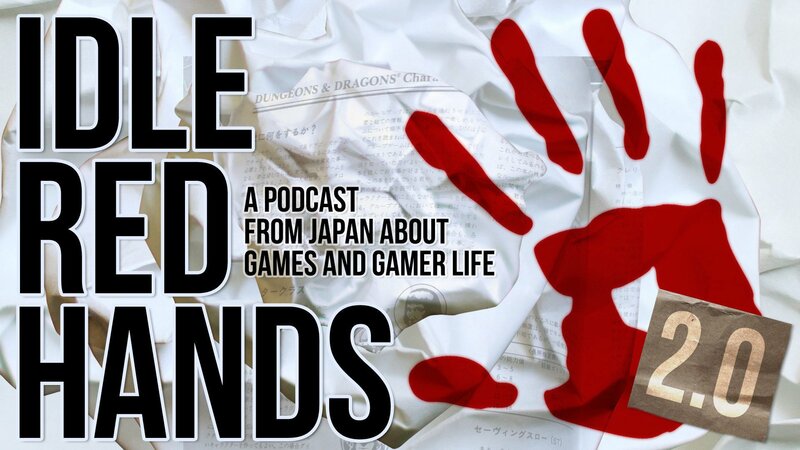 We also discuss Savage Rifts (guitar riff), the game that threatens to break the Internet. In this episode, we compare focusing on just one game system (specializing) with playing a wide variety of games (generalizing) to see which is the best approach. Did your approach win? In another Lyal-less episode, Chris and Wayne discuss encounters (both random and planned). Should encounters in RPGs be balanced, or should they follow the fiction of the setting? How to plan encounters, and how to make them interesting, balanced or not. This episode was inspired, in part, by an awesome (and angry) article by the Angry DM. State Trooper: Hey, Doc! We’re looking for a prisoner from that bus-train wreck a couple of hours ago, might be hurt. Dr. Richard Kimble: Uh, what does he look like? State Trooper: 6’1, 180, brown hair, brown eyes, beard. See anyone like that around? Dr. Richard Kimble: Every time I look in the mirror, pal – except for the beard, of course! State Trooper: Now that you mention it, you do look a lot like him, minus the beard, of course. But that’s easy to shave. Come with me, Dr. Kimble. – The Fugitive‘s original 30-minute running time didn’t screen well with test audiences. In this episode, we discuss going undercover and the different types of stories you can tell. We also suggest a mechanic for establishing a cover that can be used for multiple systems. This episode contains no Chris. Listener discretion is advised. Well, hello again. Meet the Idle Red Hands for the second time. Even after two years, their stories on how they got started in gaming remain the same. From the drug-infested, Magic-playing ghettos of Philly to the cheese-eating, cheese-wearing wasteland of Wisconsin to the nuclear-fearing, sparkly-scarf-loving ground zero of West Germany, these three gamers found and fell in love with the hobby. Is Heroquest is an RPG? Who was the “inspiration” for the Punisher? How many stolen D&D products has Chris bought? Peter Parker before being bitten by a radioactive spider, the first 33 years of Frodo Baggins’ life, moisture farming on Tatooine. Aren’t these the stories that we should be telling? In this episode, we discuss the benefits and drawbacks of running a prequel and the different ways that you can do so. We’re planning to help kickstart this “anthology of ways to use Cortex Plus from MWP’s award-winning Leverage & Smallville RPGs: hacks, settings, and options“. It looks really good in its own right. However, we’re really excited about the possibility of a Marvel Heroic Roleplaying fantasy hack. (Those who listened to Gladiators know why.) Unfortunately, it’s a $25,000 stretch goal. They are over $20,000 with two weeks to go, but we don’t want to leave anything to chance. If you are at all interested in any of these games, the book looks well worth the $10-25 price. If you don’t support this product, many children will grow up not knowing the pleasures of playing gladiators with the MRH system.